This walk-in ACE location is a freestanding building across from Chevron at the corner of H St and 5th St. The Modesto Area Express’ Bus Line #21, #36, and #43 each have a stop at H St. and 4th St. Check MAX’s website for times and schedules. Restaurants like Bonanza Tortilleria, Saigon Sandwiches, and Web’s Burger neighbor this ACE location, as do Rogers Drug Store and American Eagle Market. Auto title loans are loans that use the title to a qualifying vehicle to secure funds. Unlike traditional lenders, Central Modesto residents with unique credit types are encouraged to apply.1 Qualifying factors that matter when it comes to applying for a title loan powered by LoanMart include the equity of the vehicle and a person’s ability to make regular monthly payments. Call the toll-free line to get in contact with an agent. Fill out the information request form on the page below. Click “Chat Now” to confer with an agent right away. 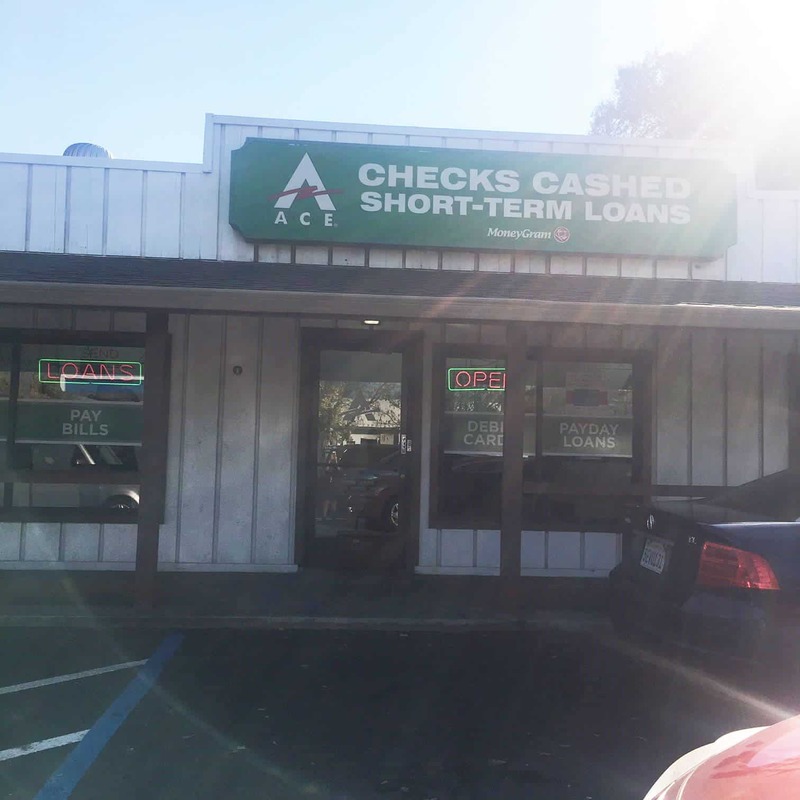 Check out the ACE Cash Express store in Central Modesto today! Upon approval, a trusted agent will explain how you may obtain your title loan money at ACE Cash Express.